Hey y'all (I'm allowed to officially use that term now, since it's been 2 years in the South for us)! I've been doing a lot of remodeling to my current business and have stumbled aimlessly into the WAHM (work at home mom) niche, which welcomed me with open arms. Can I just say, that my corporate minded ego wasn't sure how to handle this niche at first? Is that too honest? Most of my clients have been executives that needed business marketing strategies, and whose budgets for this very thing exceeded my yearly income, 3x over. I was use to dealing with "the suits." I still do and I love that portion of my business, but working with other moms has been enlightening and very good for my emotional and business' health. Work at home moms are studs. I say this, not because I am one, but because on top of juggling kids and house work (don't look at my house! ), they run a business through their home. Ranging from soap makers to edible treats, fitness mamas and business coaches, you name it, they (we) do it! This blog, isn't out to promote my business, well, not directly anyway :) but more importantly to really give testimony to how important it is for a mom to have an outlet. I'm not saying all moms should run a business and I'm in no way saying that moms don't work if they don't run a business. - Just a disclaimer here! My mind never stops and sometimes that bugs the heck out of me. I lay awake at night thinking of ideas, strategies and how to get that across to anyone who happens to read my ramblings. If you are reading this, thank you. I honestly don't know who reads my blogs other than a handful of dedicated folks, and my mom. So thank you, whoever you are. I hope to meet you or hear from you at some point. I like to review products because I like to research before I buy anything. If someone has done that for me, I always try to buy it through the site they recommend. Why? Because they put time and effort into helping me! Site traffic and product referrals are a way lots of moms make a living. Did you know that? A lot of times they also find the best site, with the best price/return policies for you. I use amazon because of their great customer service and prices! In saying this, I have stumbled across two books I really love. I know...BOOKS! Not a blog, not a PDF, an actual set of books. If you're someone looking to start a home-based business and have a passion for something that you know people would purchase, start today. You don't have to have lots of money or resources, just some passion and guidance. The guidance part comes with these two books. 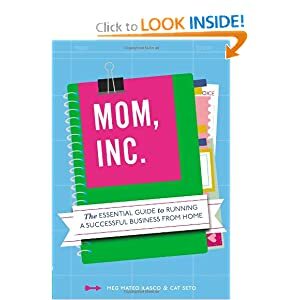 Written by moms who are doing it NOW, this book inspired me to "Just Do It," get creative and stop thinking about how to make it perfect. Do I apply every tidbit to my life? No. Just like anything, you have to find the balance for your home, your family's priorities and how you want to run your business. Remember....you're the boss! Thanks Cat Seto and Meg Mateo Ilasco! Here are a few others they have written, specific to your niche! This book is a must get! MUST GET! *nudging you towards that purchase* I'm going to include a review from Amazon.com that made me purchase this book. While reading it, I'd say the same thing about how it influenced me and can help you really decide to take the plunge! 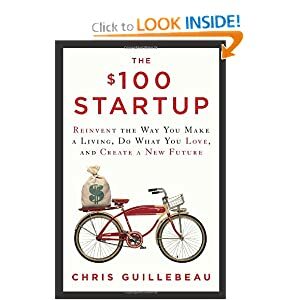 -- "Instead of discussing how to grow, scale, leverage, and sell a new business--typical of much of the entrepreneurship literature--he focuses entirely on "microbusinesses": tiny, one- or two-person operations that maximize freedom and generate roughly $50,000 per year." I hope all you WAHM 's out there are able to make a few small purchases if you're really considering or even knee deep in a home-based business. It's worth the investment. For my business, I'm a "writer & business grower" Not technical terms necessarily, but in summary, that's it. Oh yeah, and I do a little design work here and there, but ya know...trying to keep this short! What are some of your passions and what do you do from home? I'd love to hear from you!